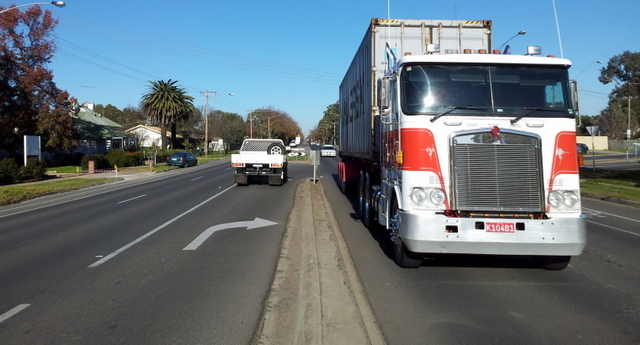 Planning for upgrading the busy arterial Napier Street Bendigo is currently being undertaken by VicRoads. Many within the local community are seeking an underpass to be incorporated into the design, to provide a safe crossing for cycle commutors, pedestrains, and recreational users of the O’Keefe Rail Trail. Recently elected City of Greater Bendigo Councillor Yvonne Wigglesworth has recognised and supports the need to construct an underpass at this busy arterial road crossing. With no plans for incorporating traffic light controlled crossing in the road’s upgrade project, pedestrians and cyclists will be left with attempting to ‘duel’ with road vehicles when crossing this road. The building of an underpass with the Napier St upgrade project, while the road is being ripped up and electricity distribution assets placed underground, would lessen the overall cost and reduce future inconvenience to road users. With increasing use of off-road paths and trails occuring by active transport commuters, plus recreational individuals and families users, the O’Keefe Rail Trail is one of the preferred local routes. For those walking or cycling to and from the city, attending school, commuting to work, or recreational groups riding to/from Axedale and Heathcote, a safe crossing of Napier St will be critical to encouraging more people to use alternatives to their motor vehicles and also increasing outdoor tourism visitations.